Thanks for joining us on a year of journeys, some far away and others closer to home. Travel has a way of diminishing distances and bringing people of different languages, backgrounds, cultures and customs closer together. We are so appreciative of the friends we’ve made along the way (travel/tourism professionals and fellow travelers) as well as the vibrant community of writers and photographers we’ve met. So many of you have enriched our lives in countless ways, including the sophistication of our palates! That process has reminded us that with age, intangibles like relationships and experiences trump everything else that can eventually wind up in a big basement or tucked into closets. So we intend to continue to explore and share our world with you, mapping out the future—one day, one trip at a time. Take a peek at where we traveled in 2016 on our blog post: 2016: Recounting our Travels. Thanks for all the wonderful information and all the great photos that you provided in 2016. I look forward to more of your great travel tips, photos, stories and adventures. Thanks, Lauren! Wishing you everything good for the New Year! Nice White Christmas at home 🙂 Best wishes for a 2017 filled with amazing travels! Lovely post, Irene. Tom and I so enjoyed meeting you two IRL when you cruised the Douro this year. 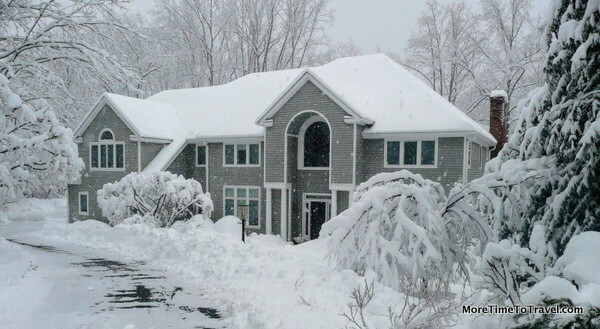 Best wishes for downsizing…in the meantime, enjoy snow season in your cozy Chappaqua nest! I’ve so enjoyed reading about all of your adventures and can’t wait to see what’s in store for 2017. Happy New Year filled with more exciting travel to you and Jerry! Cheers to many more adventures in the coming year too. Hope to see you and Jerry soon. I can relate so well to this post as we’ve been dancing (one step forward and two back) with the idea of downsizing. Greece is teaching us that we can do without a lot of ‘stuff’ that still surrounds us back in the States. It is an interesting time of life. . .feel much like I did back in college when I wondered what direction my life would take. (BTW, I tried to leave a comment on your cabin steward post but the Leave a Reply box was missing). Happy New Year Irene and continued Happy Travels.